Catch and Release fishing is a lot like golf. You don’t have to eat the ball to have a good time — Anon. 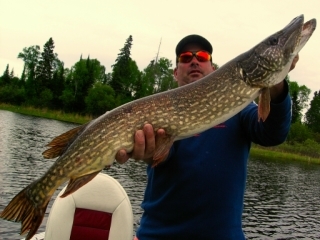 At Peffley’s Canadian Wilderness Camp, we strongly support Catch & Release. 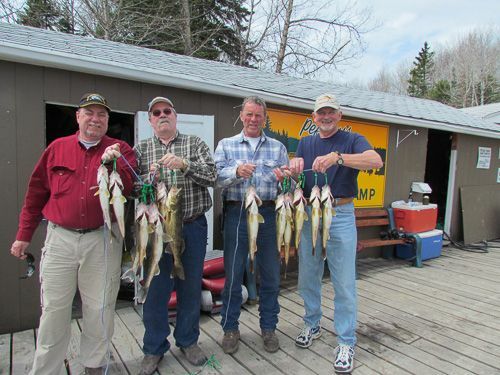 Wabaskang Lake is well populated with lots of tasty, great eating walleye, northern, jumbo perch and smallmouth bass. There is nothing better than sitting down in your cabin, looking out the window over the lake that just an hour or two before produced a great catch of fine tasting fish! Our guests have grown accustomed to bringing home their limits of fish and eating lots of fish throughout their weekly stay. We VERY MUCH appreciate our guests eating the smaller fish of our species and returning the larger fish that will help sustain the quality of fishing we enjoy today for generations to come. When you do catch that trophy fish of a lifetime, I would urge you to take some quality photos and consider having a high quality long-lasting graphite reproduction of your catch made so you can have your trophy fish, and that same fish can swim again to provide another angler the same opportunity. I can assist you with local taxidermists who provide this service. 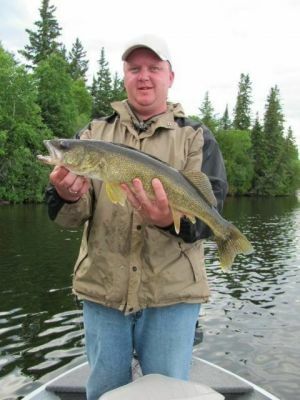 According to the MNR, large female walleyes lay approximately 26,000 eggs per pound of body weight. Less than 1 in 10,000 survive to adults under perfect conditions. Therefore, releasing these quality breeding fish is important to maintaining the population and the great fishing opportunities we enjoy here on Wabaskang Lake. As a strictly catch and release option, you will want to save a day for our private “walk-in” lake. A short 20 minute trail walk will get you to this 100 acre gem that offers incredible trophy walleye and northern pike fishing. To further support our guests in releasing quality breeding fish back to their waters to fight another day, the camp offers the following Catch & Release Free Trip Award. 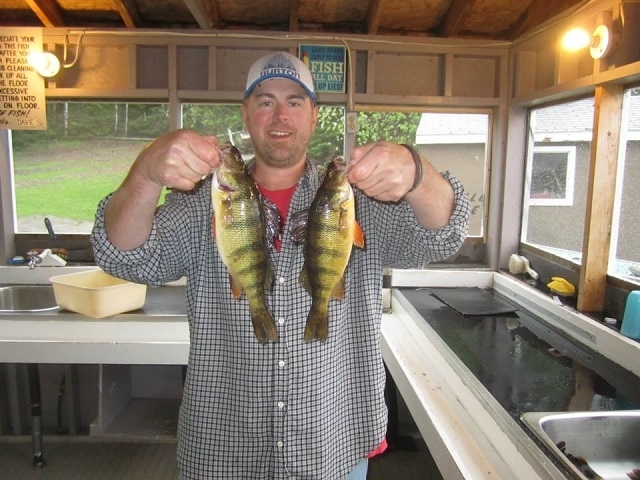 At the end of each season a name will be drawn from guests who have released any walleye over 18 inches, northern pike over 30 inches or smallmouth bass over 16 inches. Should your name be drawn, you will receive YOUR trip (please note this only applies to the guests name who was drawn and not the entire group) the following year free of charge, excluding any live bait used, taxes or other incidental charges. please practice catch & release.